5 Reasons Why Polki Jewellery Is All The Rage This Wedding Season! 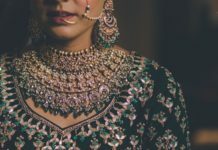 - Wedding Affair var admin_url = "https://weddingaffair.co.in/wp-admin/"
Home Jewellery 5 Reasons Why Polki Jewellery Is All The Rage This Wedding Season! 5 Reasons Why Polki Jewellery Is All The Rage This Wedding Season! There came a time when polki jewellery was overthrown from its prestigious position. It was considered as too old to be worn by modern brides and deemed appropriate for only the older generation. Then in the beginning of 2018, Polki salvation came in the form of ‘Padmaavat’. The protagonist Deepika Padukone provided every women in the country with new #JewelleryGoals! From heavy gold and polki to kundan sets, there is nothing that can be disregarded from her regal collection. 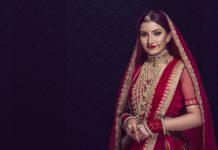 Millennial brides are adding polki jewellery in their bijouterie and here are five reasons why you should buy polki jewellery asap! Polki jewellery is being used since ancient times. Although its genesis can’t be particularly dated back to a specific era, the Mughals definitely had them in their elaborate pieces. Since then, polki jewellery has been synonymous with regal weddings. Their elaborate designs in combination with gemstones like emerald and ruby has been time and again used by artists. From traditional jadau to modern kundan jewellery, polki has become a recent favourite among millennial brides. ‘Polki,’ when used colloquially, actually refers to a whole range of uncut diamonds. These jewels were renowned choices of Rajputs and Mughals in the bygone era. These pieces being uncut in nature tend to be heavy in weight and give a regal look to the ensemble. A heavy layered necklace or choker made with polki diamonds can be a great option for the brides-to-be who want to wear a single piece of jewellery on their neck. Polkis, while being unpolished and uncut in nature are a pure sight to behold. Their lustre is brighter than kundan. They are the perfect examples of raw beauty. Even when the stones are rough in nature, they provide the softest look to the wearer. An elegant piece made with polki diamonds can be wise choice for the sangeet ceremony. Who said that heavy jewellery can only be donned on your D-day? Ditch that myth! Polki jewellery is pretty versatile in nature. From fashionista Sonam A Kapoor to former Miss World Aishwarya Rai Bachchan, celebrities have time and again experimented with this jewel at various other events. You just need to find the right piece to enhance your attire. Each and every Polki is unique and can’t be compared. 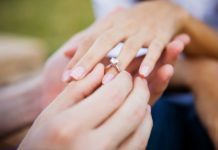 Since these are rough stones, which remain unpolished, they don’t give a smooth look like the polished diamonds of your engagement rings. Their strength lies in the irregular facets. It is the way they blend with each other which makes polki jewellery incomparable.